The Buy New Zealand Made Campaign is turning 30 and celebrating with events around the country to showcase member companies along with the iconic kiwi trademark, which has evolved to become a significant marketing tool for businesses in an increasingly competitive world. Launched in 1988 by the then Manufacturing Federation, the campaign is now owned by BusinessNZ and is completely private sector-funded. It provides the licence for businesses to use the kiwi trademark to promote their New Zealand-made goods and services that meet the requirements of the Fair Trading Act for country of origin labelling. "The kiwi trademark is a trusted brand that is globally recognised as a label depicting NZ-made products," says Executive Director Ryan Jennings. "When products carry the registered trademark, buyers can be confident it’s made in New Zealand. "Our main purpose is to provide an accountable and trusted brand to promote New Zealand-made products both at home and abroad." The campaign was first introduced as a 12-month promotion for consumers to support businesses who manufactured in NZ and 'keep your country working'. Three decades on, the kiwi trademark has helped thousands of businesses to gain market origin advantage. Mr Jennings says there is great value now and in the future for companies that qualify to use the trademark. Some of their testimonials can be found here. "Internationally, consumers recognise the value of knowing where a product comes from and New Zealanders are increasingly looking for the reassurance that country of origin labelling brings. 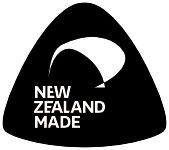 "In a world that has effectively become smaller at the same time as it has become increasingly competitive, using the Buy NZ Made trademark can and will serve those businesses that have committed to making goods here very well." To create the Celebrating 30 Years of the Buy New Zealand Made Campaign video the team visited companies from Invercargill to an hour’s drive beyond Auckland, many of whom have been in business for 30 years or more. Mr Jennings says what stood out at each was the passion for their product, how well they knew their customers, and the dedication of their team to deliver a quality product every time. Over 1200 Kiwi businesses are ‘Making It New Zealand’ and many of them are attending the countrywide celebration events. Media are invited to register to attend the Wellington drinks and networking event this Wednesday, 21 November, 5.30pm at BusinessNZ. Guests include Regional Economic Development Under-Secretary Fletcher Tabuteau and Food & Grocery Council CE Katherine Rich. Check out the website here https://buynz.org.nz/ which includes a licensee directory plus the BuyNZ Marketplace - an exclusive platform to promote licensees, their New Zealand-made products, and their stories. Also to be uploaded shortly will be a ‘Give New Zealand Made this Christmas’ feature, where the focus will be on giving instead of buying. It will showcase the products of licence holders, the charities who are licence holders, and Kiwis who are giving generously this Christmas.